Apple Forced to Slow Down iOS-Powered Devices Production Output? The iPad 2 enjoyed an extremely successful launch, and the initial demand for the device is so high that all Apple retail stores across the nation are currently out of stock, and shipping lead times at the Apple online store are well over a month. The situation is not expected to change anytime soon, as Apple and its manufacturing partners seem to be having extreme difficulty to keep up with the demand, and could be unable to supply enough units to meet the demand this year. 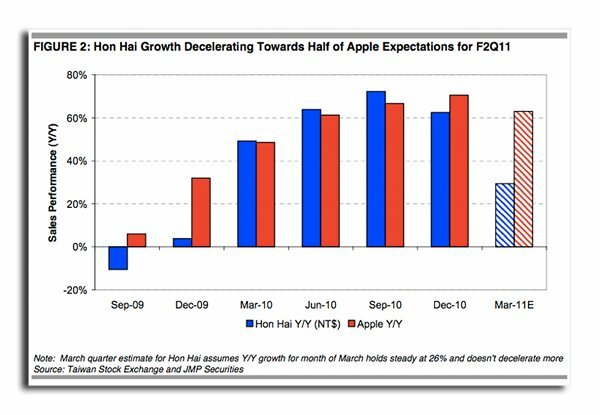 The problem apparently stems from Apple’s main subcontractor Foxconn (also known as Hon Hai), as according to a note from JMP Securities published earlier this morning, the Taiwanese company has slowed down its production output for unknown reasons, and will most likely be unable to meet the production targets set by Apple for 2011. 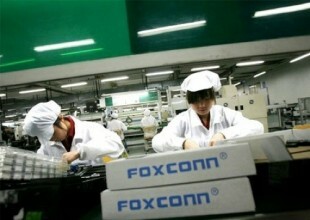 The growth of Foxconn has been constantly slowing down over the last months, as from a year-over-year growth of 84 percent in December 2010, the company’s growth has tumbled all the way down to 26 percent last month. While the reasons behind this deceleration are unknown at this stage, the slowdown is most likely due to a combination of factors: with the iPhone 5 around the corner, iPhone 4 production has likely decreased sharply, and given the success of devices like the iPad 2, other products built by FoxConn – such as notebooks, netbooks and PCs – are not selling as well as expected. Moreover, a series of unexplained suicides plagued the company last year, and Foxconn was forced to make drastic changes and improve the working condition of its employees, which likely had an impact on productivity. The decrease in production could partially explain why Apple is unable to meet the demand for the iPad 2. A low production output could also mean that Apple may have to delay the launch of the device overseas.